April 7, 2019, 1:30 – 4:30pm, JFK Library, Vallejo. 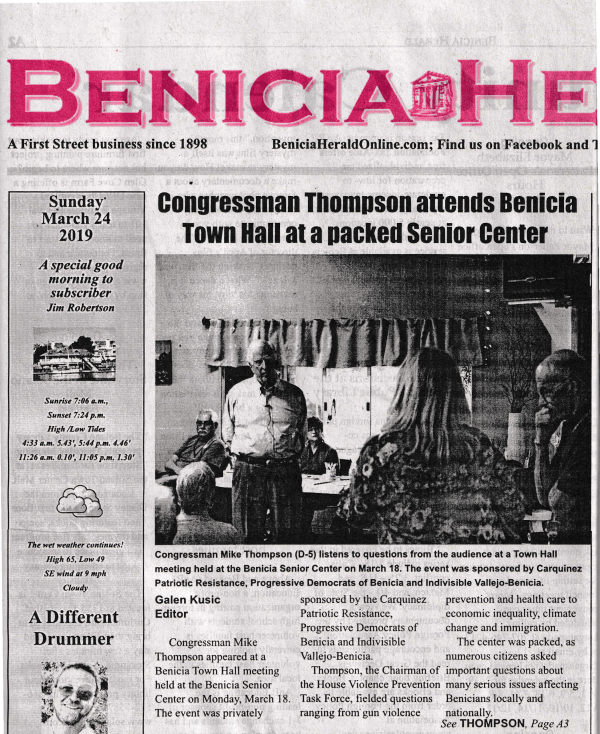 We arranged for our Congressman Mike Thompson to meet with us at a Town Hall here in Benicia on March 18. Co-sponsored by Progressive Democrats of Benicia, Carquinez Patriotic Resistance, and Vallejo-Benicia Indivisible for Justice, the program was held at the Benicia Senior Center, 187 East L St., 6:30 to 8:30.